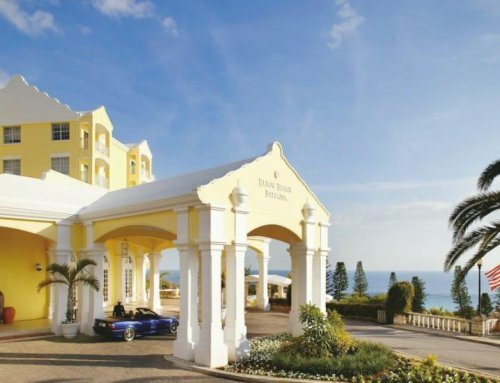 When in Bermuda, do as the Bermudians do….here are 10 ways to help you effortlessly adapt to island living, so you can feel at home away from home. Rent a ScooterCatching taxis can quickly exhaust your budget and waiting for a bus in the hot sun is no picnic either. The easiest way to get around in Bermuda is on a moped or scooter. There’s no better feeling than the freedom to move as you please, the wind in your hair as yourcruise down the streets of paradise. We suggest you go to Oleander Cycles for a sweet deal. Once you have your own “trans” as the locals call it, (short for transportation) it won’t take long to get the hang of riding, just remember to keep to the left side of the road! Get accustomed to the tree frogsWhat is that whistling sound you ask? Every evening when the sun sets these tiny jumping frogs sing their hearts out until morning. 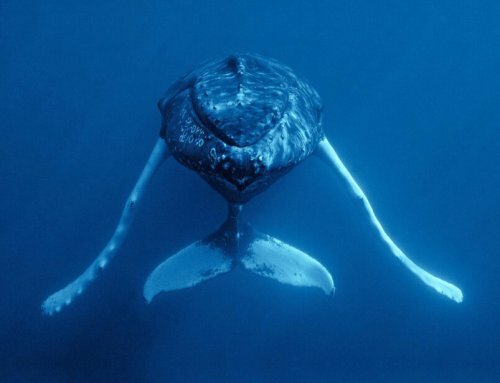 While most people consider this one of nature’s soothing sounds, many visitors find them loud and annoying. It takes a little time but you will soon grow accustomed to the noise, and when you hardly hear them anymore you will know that you are one step closer to your Bermuda status. Eat WellWhen Bermudians use the word “well” to describe food or drink, they don’t mean to say healthy. Well means mouthwateringly delicious and usually decadent. If you want to try some local favorites that are certifiably “well” we suggest you start with an Art Mell’s fish sandwich, followed by a Snowy’s Snow Ball for dessert. Art Mell’s has two locations, one in St. George’s and the other in Pembroke. Snowy’s is conveniently located in town right in front of the City Hall car park. Go fishing off a dockContrary to popular belief, you don’t need a fishing pole to go fishing…you don’t even need a boat. In Bermuda it is not uncommon to see people fishing right off the dock, equipped with only some fishing line, a hook and a bit of bait (you can be creative here.) Try your luck and you never know, you might even catch your dinner. Dance behind the GombeysThe gombeys are one of our oldest and most cherished traditions. They are symbolic of our African indigenous roots fused with Native American and British influences. 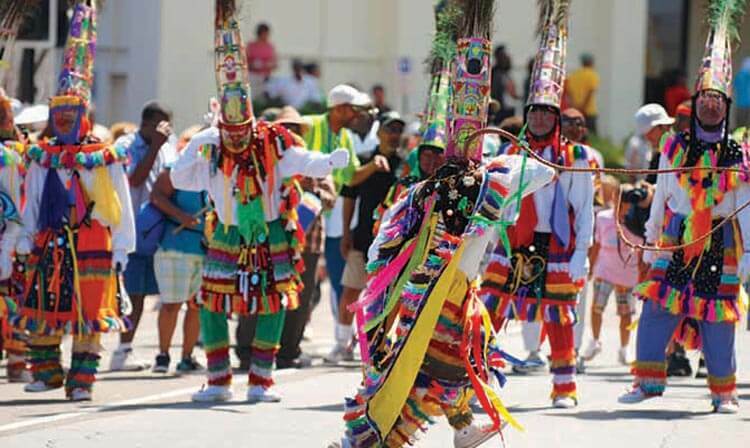 You can find them dancing at various events around the island, accompanied by rhythmic drumming and whistle blowing. They unite all Bermudians regardless of age or color, and you will often see them followed by a trail of people dancing in the street. If you get to see the gombeys perform during your stay in Bermuda don’t hesitate to jump in and join them. 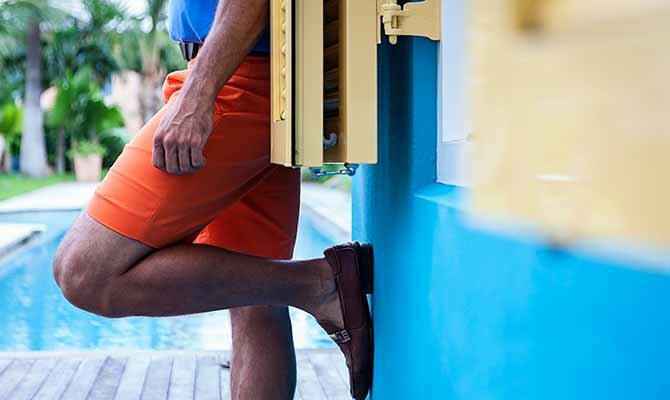 Wear Bermuda ShortsI know that It might seem a bit cliche, but trust me you will fit right in with the locals in a pair of TABS (The Authentic Bermuda Shorts). There are so many options, you can dress ‘em up or dress ‘em down. With Bermda shorts as a fashion staple the possibilities are endless. Visit www.tabsbermuda.com for a current list of local retail outlets. Jump off a Cliff No, I’m not suggesting that you commit suicide. There are a number of water-side cliffs in Bermuda that are perfectly safe to dive from. It’s quite a popular activity among local adrenaline junkies, the best cliffs to jump off are at Admiralty House in Spanish Point. You have to take a literal leap of faith, but free-falling into the turquoise blue waters below is the ultimate rush. Just be cautious, and please ask a local first before throwing yourself off of any old rock. Attend a football gameNext to cricket, football is the sport of choice in Bermuda. The season has just begun and we have some fantastic teams that will promise a good game for all of you sports fans out there. In Bermuda, ‘going to the game’ is a huge social event that attracts mostly locals who come out dressed to impress. There is a game every Saturday and Sunday at various stadiums across the island. If you want to feel like a local while you’re on vacation then I suggest you check it out. Save water, drink Rum. It’s no myth that Bermudians love their Rum, so you should find it easy to blend in with a cup of Swizzle in hand. To be fair, a Dark and Stormy will also do the trick, for on this island there is no beverage more comforting than a cocktail made with Gosling’s Black Seal rum. So save your water for the gym, as long as you’re on vacation you have every right to drink like a fish, otherwise you might feel like a fish out of water…and that’s no fun.